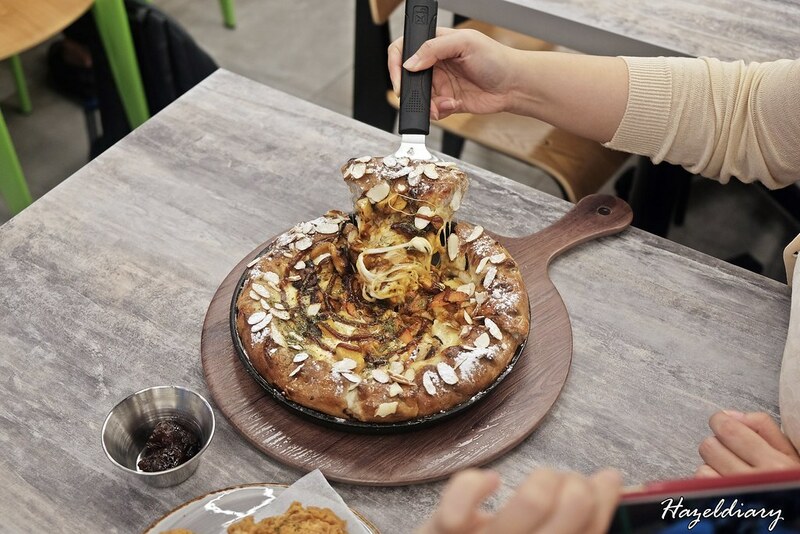 Pizza Maru is the world’s largest Korean pizza chain and has opened two outlets in Singapore within a short period of time. 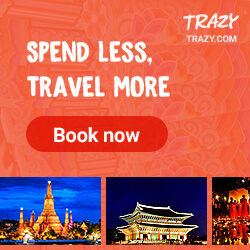 Their outlets are located at Northpoint City mall and Bugis +. 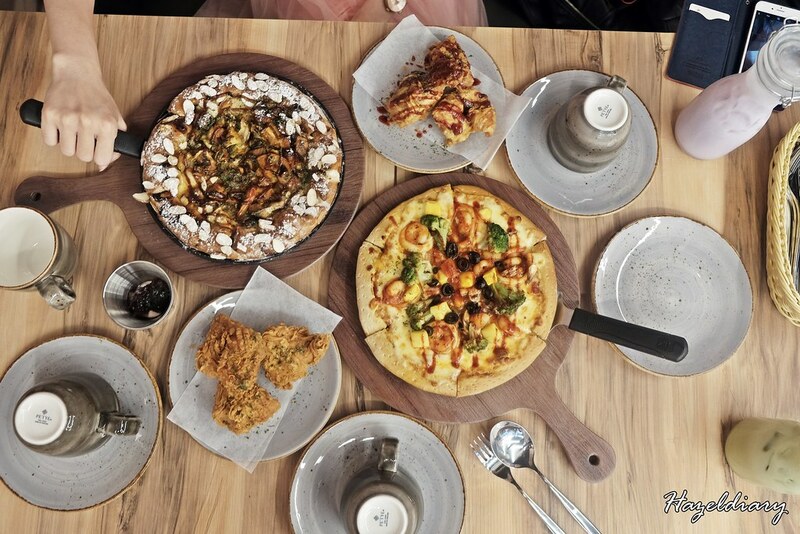 I got the chance to try out their pizza and fried chicken over the weekend at Bugis outlet. So, what is so special of their pizza? 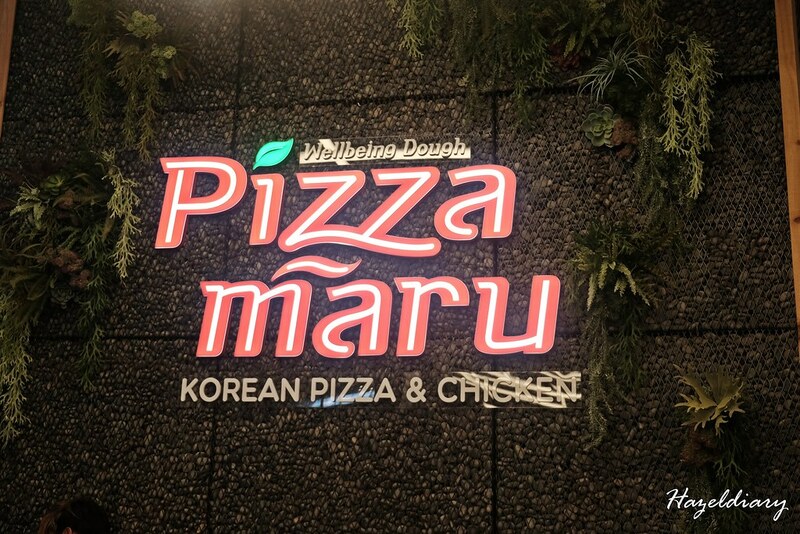 Pizza Maru is well-known with its patented well-being doughs, healthy ingredients and special flavours. This acquired patent refers to their green-tea wellbeing pizza dough, which is fermented with micro-algae chlorella, 12 kinds of cereal including rye, black rice, barley and oats. And to maintain the consistency quality of the pizza, the ingredients are directly imported from Korea. This includes their marinated ingredients for the fried chicken. It is prepared in Korea before arriving Singapore. 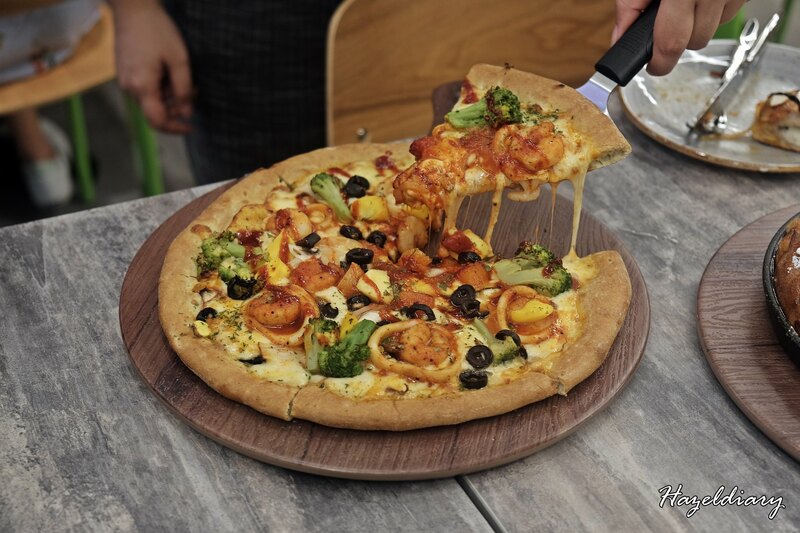 The pizza is made with black rice dough, double mozzarella cheese, string cheese, cream cheese mousse, chicken chunk, roasted onion, mushroom, tomato, potato, honey, almond flake, icing sugar and BBQ sauce. My first time trying it and I enjoyed the special thick puffy pizza crust. It has the pillowy soft texture and the cream cheese within it gives a nice texture to the bite and flavour. And of course do not to miss the instagram-worthy cheese stretch when you pulled out a slice of the pizza. A must-have pizza when you are here. 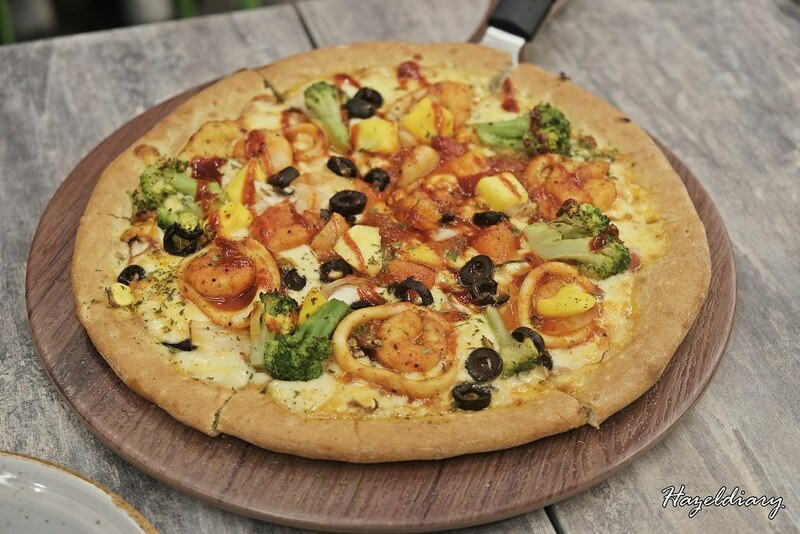 The ingredients include shrimp, scallop, squid, onion, mushroom, mango, black olive, broccoli, pilaf sauce, spicy buldak sauce and mozzarella cheese. This is a combination of sweet-savoury flavour and spicy taste from the spicy buldak sauce. We tried two flavours- Original Fry S$15.80 (6pcs) , S$26.80 (12pcs) and Supa Hot Dak Gangjeong S$16.80 (6pcs), S$29.80 (12pcs). 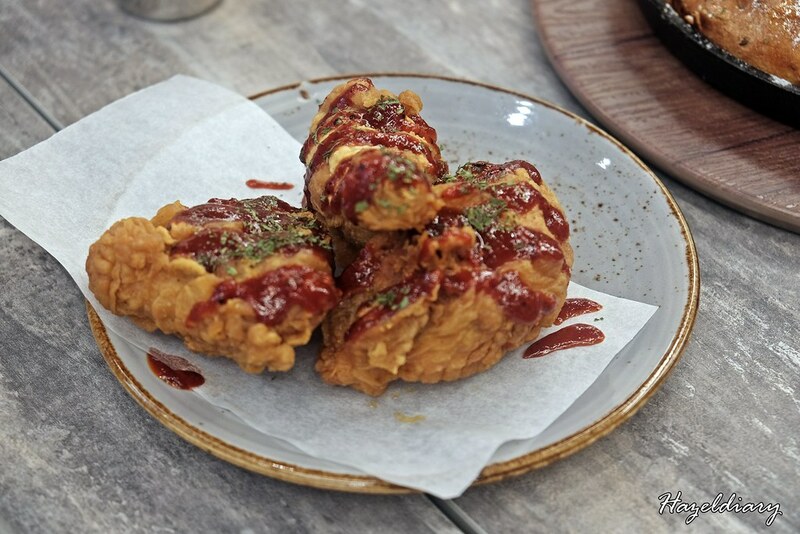 I am in love with Korean fried chicken especially their crunchy crispy skin. 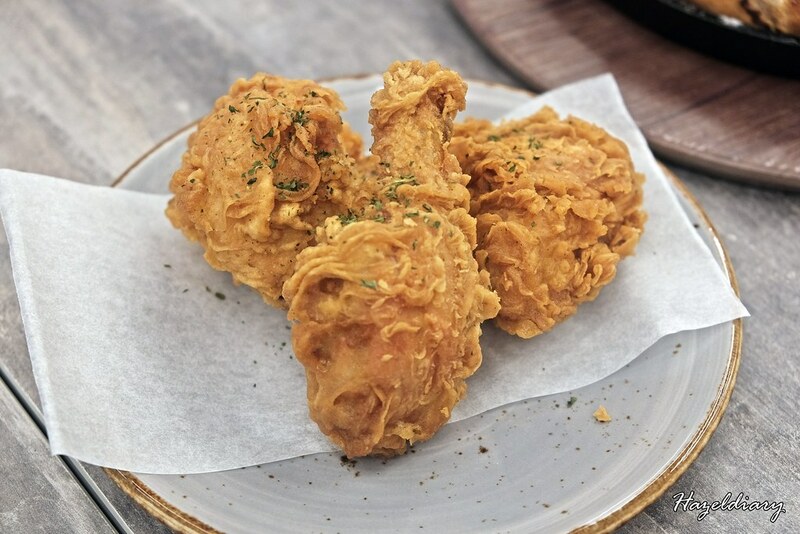 It is nicely fried into golden brown and the meat tasted juicy and tender. It is nothing greasy as well. I do recommend you to order their fried chicken when you are here. If you are fan of spicy, I dare you to try their Supa Hot Dak Gangjeong. It is fiery hot! There is a total of 2 levels to choose from. Challenge yourself to try Level 2! 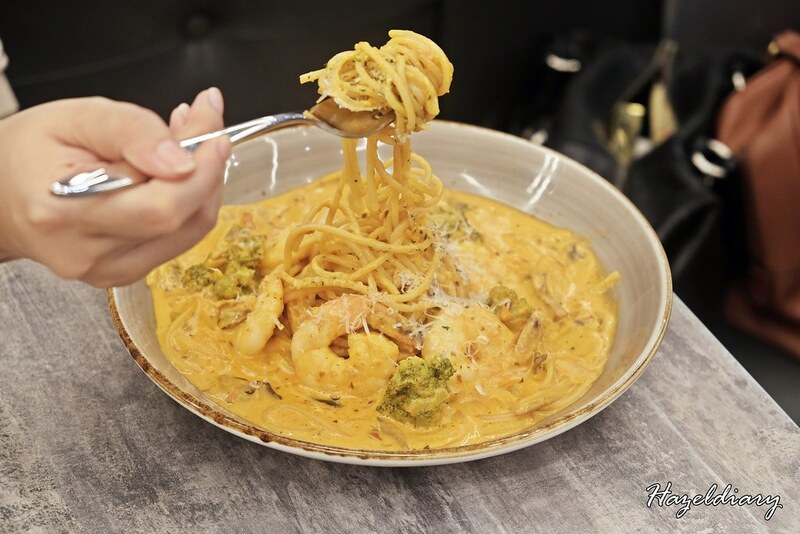 I would say it is a decent portion of creamy pasta with fresh shrimps as the ingredients. For pizza lovers, I would recommend you to try here. It is definitely a different taste experience as compared with other pizzas I ever had. And of course their fried chickens are quite a hit too. I would order pizzas and fried chicken and skip the pasta for now. Pizza Maru Singapore offers No Pork No Lard.